Maxis recently launched a brand new MyMaxis app that makes it a whole lot easier for its subscribers to manage their Maxis accounts, as well as exclusive new features. 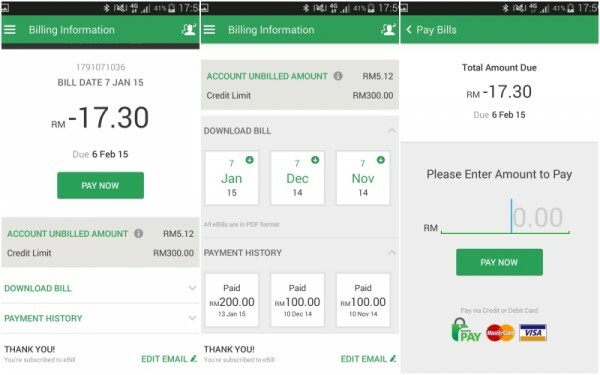 As someone who has lots of bills to pay and tend to forget about them (hence overpaying whenever I remember), I think it’s an extremely useful app that puts your Maxis account at your fingertips, allowing you to view and pay your bills, check your usage, purchase additional data and view rewards. 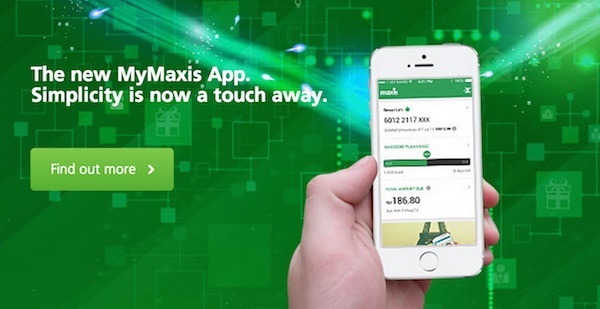 The MyMaxis app is available for Maxis customers who have an account at www.maxis.com.my. 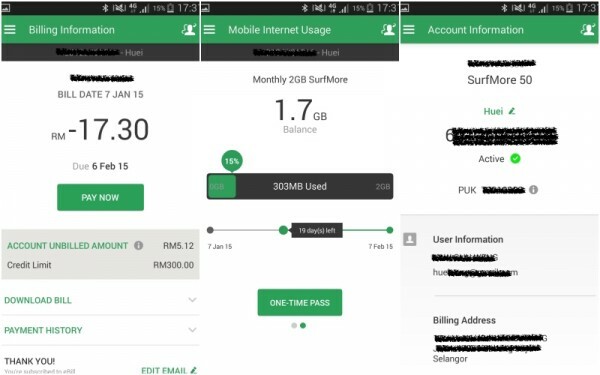 It’s a self-help application for Maxis postpaid, Wireless Broadband and corporate individuals to keep track of their Maxis accounts and track their usage. 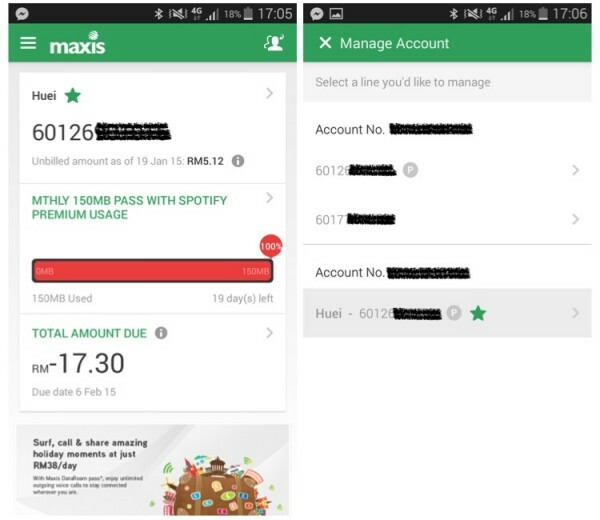 You can check your bill, unbilled amount, make payment, mobile data usage, purchase additional quota, and view rewards by Maxis Rewards. 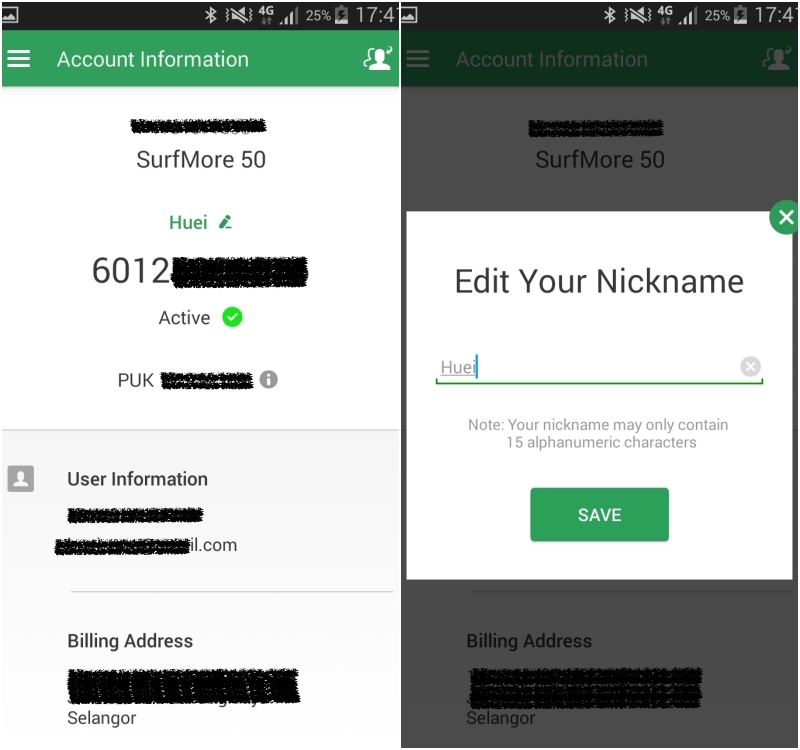 MyMaxis makes it a whole lot easier for you to manage all your Maxis accounts while you’re on the go – if you have multiple accounts, you will be asked to pick a main number when you first log in. Should you need to, you can also easily switch between different accounts with just a few taps. When you open the app, you will be able to see the most important information – your number so you know you’re using the right account, your data usage, the total amount due along with a due date, and most useful of all, the unbilled amount. If your number is barred but you’re sure you do not have any outstanding payment, being able to track your unbilled usage is as useful as ever. Tap into each category and you will be able to see further details about your number – Account Information, Mobile Internet Usage and Billing Information. Account Information lets you set your own nickname, the status of your account and even your PUK code should your SIM get locked. It also shows user information (full name and email address), billing address, and if you are a Maxis One Club member. My favourite would definitely have to be the ability to track your mobile Internet usage. I have two mobile Internet allocations – one for Spotify and another regular one. With this tool, I can easily check and monitor the usage of both. MyMaxis will display the balance, and the number of days left before the Internet quota gets refreshed. If you have multiple mobile Internet packages, just swipe left/right to switch between the different packages. 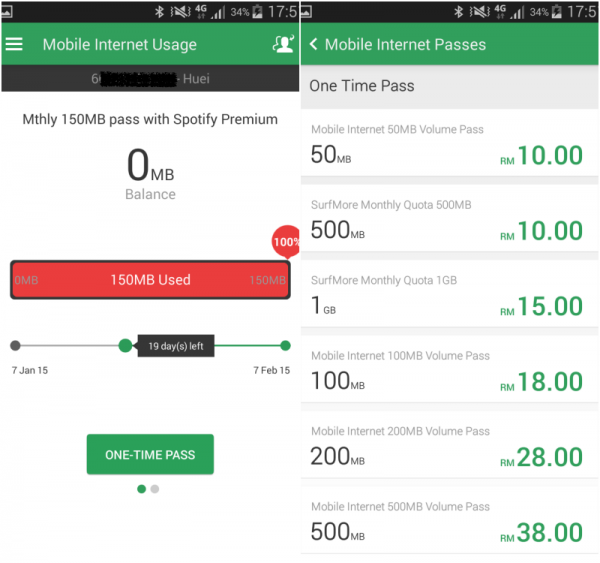 Should you require more data, you can also easily buy more by tapping on “One-Time Pass” button. There are a bunch of data plans to pick from, but the availability will have to be based on what plans you are subscribed to. In the Billing Information tab, you will get to see the latest billing information about your account like the amount due, credit limit and total unbilled amount. If you need to see your usage, you can also download the three latest bills to your device (available in PDF mode) – you’ll need to key in your password again for this. You can also see the last 3 records of your payment history along with payment date, as well as the ability to subscribe to e-billing with the tap of a button. With the app, checking your bill has gotten a whole lot easier, eliminating the need of physical bills. Should you need a physical version for any reason, you can easily print out the page you need. Finally, you can also make payments in the Billing Information section. Maxis accepts Maxis Pay, and debit/credit Master Card and Visa cards. You can key in the amount you want to pay (especially useful for those who has an unbilled amount that is approaching your credit limit), and proceed to pay using Maxis Pay. 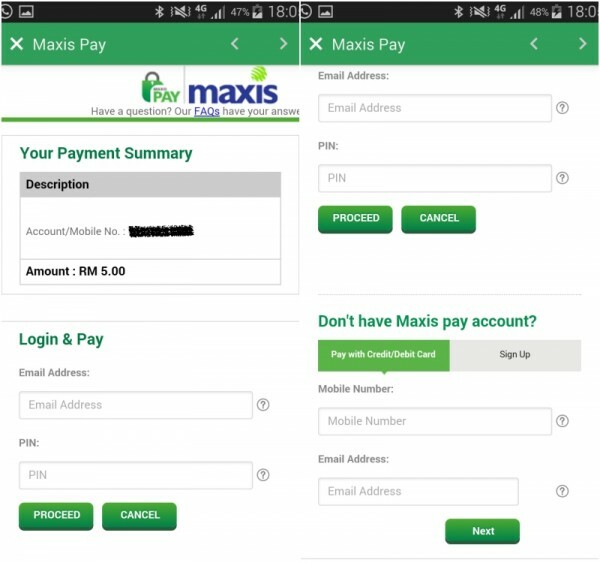 If you don’t have a Maxis Pay account, you can sign up for it, or pay via credit or debit card, though it’s a painful process of having to key in all your details on a mobile device. MyMaxis also brings you closer to rewards. 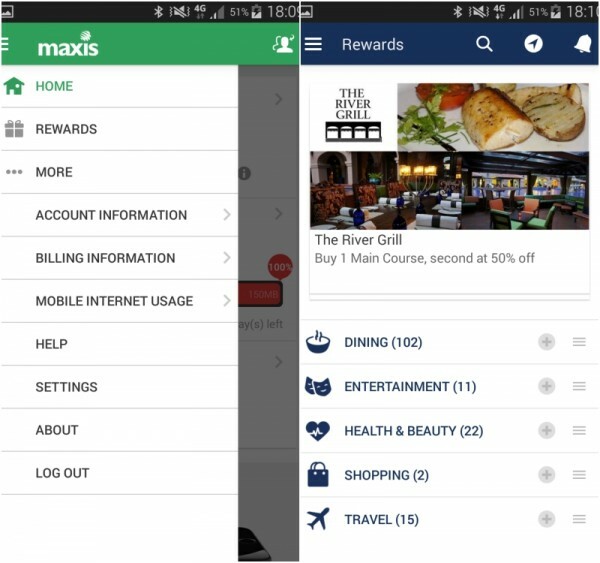 Maxis has partnered with lots of retailers to give its subscribers rewards like discounts for a nail spa, or free dessert at a restaurant. To make things even better, if you turn on location services and if you’re driving past a mall with Maxis Rewards offer, MyMaxis will alert you – driving out for lunch and have no idea where to go? This is a perfect feature. Overall, as a Maxis subscriber, I think this is a very useful tool, especially if you’re always on the go. Sure, you can fire up your browser and access your Maxis account the old-fashioned way, but an app makes it a lot faster. Moreover, once you logged in, the next time you want to check on your account, just open up the app – no logging in required. That being said, if you value your privacy, do log out of the app once you’re done because your personal information like full phone number as well as billing address will be shown. The PUK (Personal Unblocking Code) can easily be accessed so if your phone gets stolen, the thieves might be able to access your SIM card too. MyMaxis is available for free on the Apple App Store, as well as the Google Play Store.